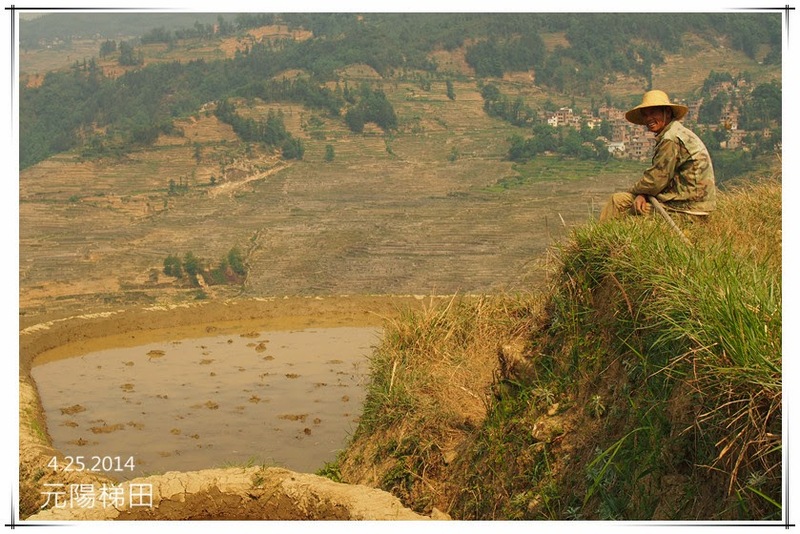 Most people who come to Yuanyang hire a minivan for one day, the driver will take you to all the viewing decks. 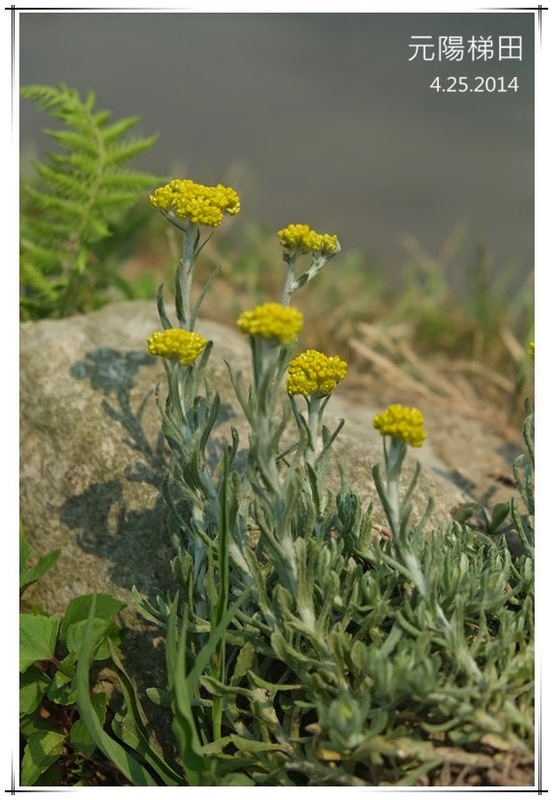 This method is best for people who purchase a two days’ ticket and come and go within two days. 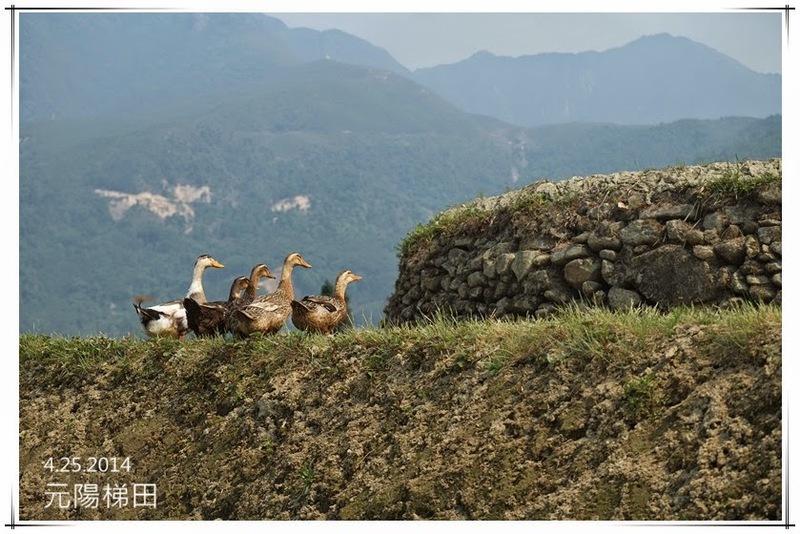 People who have a bit more time, or loves hiking will choose to do some walking in Yuanyang. Some people will walk from DuoYiShu to LaoHuZui, you have to climb over a hill and one way is around 4 hours. I don’t think I can do it. 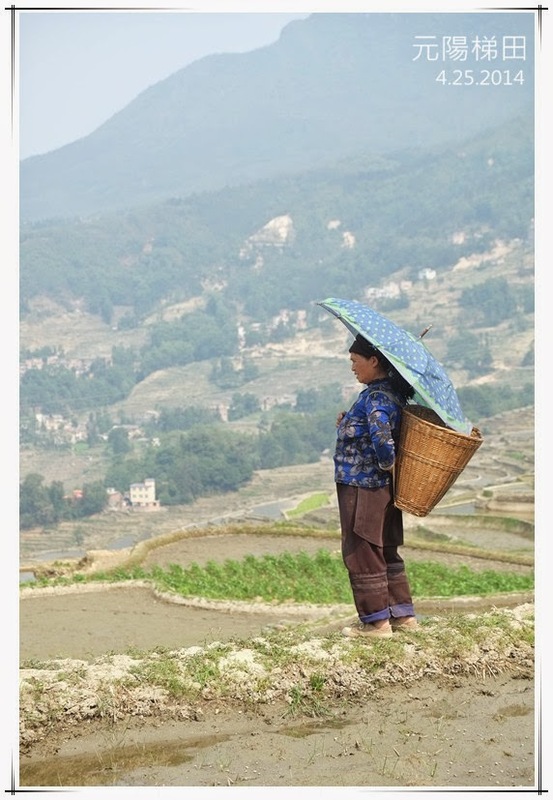 I have chosen to walk from the Sunny Guesthouse, among the rice terraces, until the next village YanZiJiao. The way to walk in rice terraces is to follow the water drains. 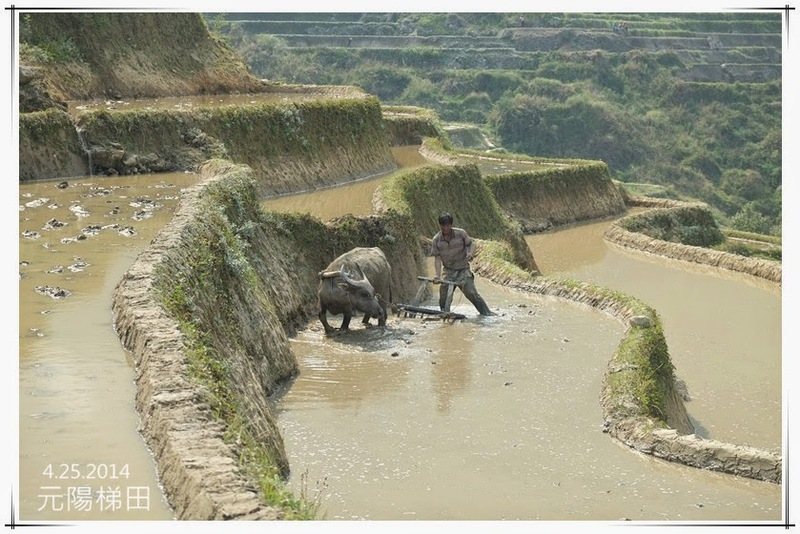 The rice terraces have many steps and the farmers basically use the water drains as roads to travel among the rice terraces. You can see the rough path from above and basically following the water drains will take you to the right direction. If you hire a car, you only see the terraces from far away, walking takes you much closer to the terraces and you can see them from different directions. I think around May is a good time because the farmers start transplanting the rice seedlings. Apart from seeing the terraces, you also see farmers and buffalos working, it is a lively scenery. 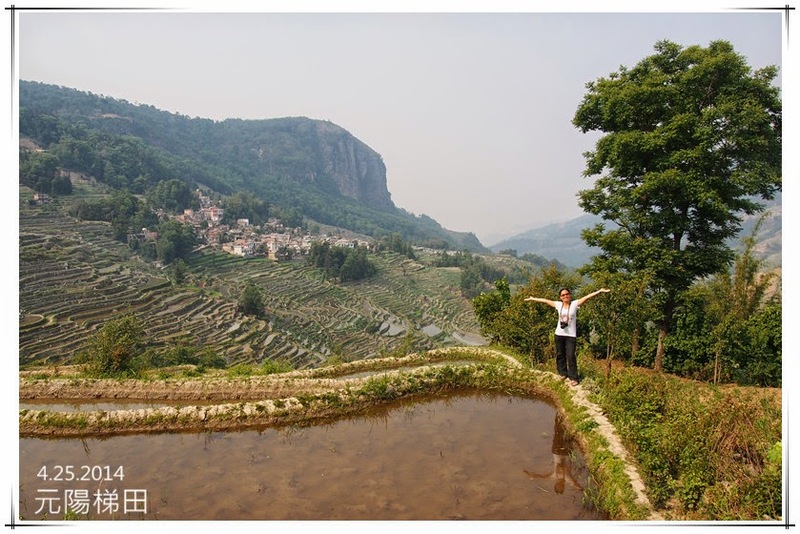 From the Sunny guesthouse to YanZiJiao is an easy one hour walk, all descending. YanZiJiao is a nice and clean village, we walk around a little bit but we cannot find the path across the village. We decided that we should go back by the main road. However, although the main road is well paved, it is so long that it takes us a full two hours to come back to PuGaoLaoZhai.